Two clients come in with interesting stories. The first tells you she received chemotherapy two days ago while wearing an odd-looking cap with a chin strap. It was a special “cold cap” cooled her scalp during the chemotherapy infusion. It made for a chilly session, so the infusion staff took pains to keep the rest of her body warm during the infusion. The second client tells you about wearing frozen gloves and socks throughout his infusion, also a couple of days go. He didn’t find it comfortable, either, and the staff took extra measures to keep him warm. As uncomfortable as it seems to add these accessories to the treatment, there were good reasons to cool the scalp, hands and feet in these clients. A new strategy—cold therapy—is being used on the scalp, hands, and feet to diminish the effects of certain chemotherapy drugs. Massage therapists have questions about how to modify massage therapy for clients using this strategy. The purpose of this post is to answer those questions. To back up: Most chemotherapy is delivered by infusion directly into the bloodstream. From there, it is distributed throughout the body. Delivery through the bloodstream means that the drug goes to nearly every tissue, not just to the tumor. Delivery through the bloodstream also means that side effects are systemic, rather than selective. In a sense, chemotherapy drugs cannot tell the difference between friend and foe, or the difference between healthy tissue and tumor. Systemic side effects of chemotherapy, such as hair loss, chemo-induced peripheral neuropathy (CIPN), nausea, and fatigue are caused by this wide, nonselective distribution. Some side effects of chemotherapy are distressing and uncomfortable, but others can be devastating. Some, like hair loss, are short-term effects. Others, like neuropathy, can last for years or even indefinitely, causing pain and debilitation long after cancer treatment is over. Local cold applications are used to steer chemotherapy away from certain areas by constricting the vessels in that area, minimizing blood flow through them. It doesn’t stop flow entirely (and you wouldn’t want it to. Hypothermia! Tissue damage! ), but it narrows the vascular plumbing in the protected area. The goal is to reduce the exposure of local tissues to the drug. To protect the scalp, a cold cap on the head is designed to ease hair loss. To protect the hands and feet, frozen gloves and socks are designed to reduce the amount of drug flowing through their vessels, limiting the injury to local peripheral nerves. Cold gloves and socks are being applied to lessen chemo-induced peripheral neuropathy. In one study by Hanai et al, reported very recently in the Journal of the National Cancer Institute, participants received cold therapy on one hand and foot, and no cold therapy on the other side. Thus, they served as their own control in the study. Investigators found significant differences in the two sides in subjective experiences of neuropathy symptoms as well as objective performance in manual dexterity tests. For massage therapists working with clients before, during, or after chemotherapy infusion, how do these new technologies affect your approach? Should you massage the hands or feet? The head? If not now, when? How to Adapt Massage Therapy to the Scalp? It’s easy to modify massage for a client receiving scalp cooling therapy. A person attempting to preserve their hair through cryotherapy is not going to want their hair pulled or dragged in any way. They are instructed to brush gently to hang on to as much hair as possible. Massage should honor this goal, throughout treatment, as long as it is vulnerable. If a client wants touch on the head, we keep it to stationary holding rather than any friction that would pull on the hair. This avoids pulling, and avoids any strokes thought to be circulatory. While we’re at it, avoid getting lotion or oil on the head, if the client prefers. How to Adapt Massage Therapy to the Hands and Feet? The key here is also to align with the goals of the health care team. The purpose of cold therapy is to reduce blood circulation to an area. Classical massage strokes—notably effleurage, petrissage, friction, repeated compressions—are thought to increase blood circulation in superficial tissues in the areas worked. As massage therapists whose work is circulatory in intent, we need to work with the purpose of the cryotherapy in mind. You can avoid raising redness, but unfortunately visible hyperemia is only visible after you’ve already raised superficial circulation. So redness is only a reliable indicator of failure to stay within the lines, not of success. We can avoid the strokes listed above, but then we get into an argument about which pressures make those strokes circulatory. Is it pressure level 3 on this scale? Pressure level 2? The safest approach would be to avoid contact with the hands and feet altogether. Maybe light holding of each, but only brief. You don’t want to warm the hands or feet if they are supposed to be staying cool. This guideline is in place just before, during, and just after the infusion. It continues until the drug has been fully eliminated from the body. Recall that your client has come to you a two days after the infusion. The cold therapy was applied during the chemotherapy infusion, and for 15-60 minutes beforehand and afterward. For patients using cold therapy on hands and feet, we avoid circulatory work on the hands and feet as long as the drug is thought to be present in circulation. Turns out, this length of time can be difficult to determine. The time it takes to completely eliminate a drug from the body is dependent upon the drug, dose, size of the patient, health of the patient’s kidneys and liver, and other factors. The best source of information about a given situation is the hospital pharmacist, but most MTs do not work down the hall from the pharmacist to ask this question. The Dana-Farber Cancer Institute blog gives a general idea, though. They say that most chemotherapy drugs remain in the body for a matter of hours or a few days. So avoiding circulatory intent at the hands and feet is a good guideline for several days following the infusion. Massage in the Infusion Room, during Chemotherapy? Common sense can answer this question: Not on the areas that are cooling. The cap/gloves/socks are in the way! They present a physical obstacle to massage, and a mental reminder of the areas to be careful with afterward. How about Other Patients at Risk of Neuropathy? So let’s extend this discussion. Suppose your client has just had chemotherapy with a risk of CIPN, but did not receive cold therapy? What does this mean for the client? Should the client receive hand and foot massage just before, during, or in the hours/days after infusion? This is a larger question, and one that the oncology massage therapy field should discuss. In the safest approach, we would follow the same guidelines and avoid raising circulation for these clients, as well. We would take care during the hours and perhaps several days after an infusion. Yet many massage therapists suggest that foot or hand massage can ease neuropathy, and there is at least one published case report of this finding. Given the considerations above, the timing of that hand/foot intervention seems important. I would not do it until several days have elapsed after chemotherapy. These newer treatments require new discussions: Many MTs are providing hand and foot massage in infusion units. Together, we need to arrive at meaningful standards of practice for the timing of hand and foot massage for people at risk of CIPN. This post is devoted to just two issues: hair loss and CIPN. But there are other side effects of chemotherapy, and other guidelines in place for them. During chemotherapy, hands and feet may be at risk of skin breakdown from certain drugs. Nausea and fatigue require a careful approach. Low blood counts require thoughtful interview questions and massage modifications. Even a surgery history can require a complicated array of massage modifications, and massage must be adapted to signs and symptoms of cancer itself. So it’s important to have training, or at least read the literature on oncology massage therapy before working with a client during chemotherapy. It turns out, there is a lot of literature, and one should be required of all therapists: the 3rd edition of Gayle MacDonald’s Medicine Hands: Massage Therapy for People with Cancer. I did not start my career knowing what to do with this question. Cold treatment wasn’t a thing back then. But using a few principles, including aligning my goals with those of the health care team, and looking up some information, asking knowledgeable people, using the best sources in the field, we can adapt to new developments in cancer care. With thought and care, we can work safely with people during treatment, even as treatments evolve. Although a rise in blood flow is assumed to be an effect of Swedish massage techniques, the accuracy and significance of “circulatory massage” is a live question. For the purpose of this post, we’ll assume massage could raise circulation in superficial tissues of the hands and feet, at the site of massage. For more on this topic, see my free downloadable e-book, 5 Myths and Truths about Massage Therapy, below. Hanai A, Ishiguro H, Sozu T, Tsuda M, Yano I, Nakagawa T, Imai S, Hamabe Y, Toi M, Arai H, Tsuboyama T; Effects of Cryotherapy on Objective and Subjective Symptoms of Paclitaxel-Induced Neuropathy: Prospective Self-Controlled Trial, JNCI: Journal of the National Cancer Institute, Volume 110, Issue 2, 1 February 2018, djx178. MacDonald G. Medicine hands: massage therapy for people with cancer (3e). Forres, Scotland: Findhorn Press 2014. Neighmond P. Cooling Cap May Limit Chemo Hair Loss In Women With Breast Cancer. National Public Radio, February 14, 2017. Peachman RR. Scalp-Cooling Caps Help Prevent Hair Loss in Chemo. The New York Times, February 14, 2017. Walton TW. 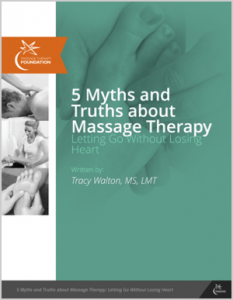 5 Myths and truths about massage therapy: Letting go without losing heart. Massage Therapy Foundation, 2015. The Oncology Massage Healing Summit is Scheduled for April 27-29, 2018 in Bloomington, MN at the Northwestern Health Sciences University. The conference schedule will be posted soon, and registration opens this September. Don’t miss this unique gathering of oncology massage therapy professionals and speakers. 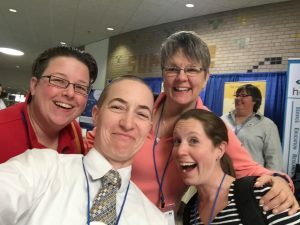 The conference is so popular with attendees that the Society for Oncology Massage decided to hold it every two years, rather than every three years. We plan to be there in force, and plans are shaping up for two of our teaching staff to offer an educational session on bolstering for symptom relief. Keep an eye on this link for updates. I stand at the side of the bed, looking down long lines of stuffed animals. They form a plush parabola around my sleeping child. For years, they have held all-night, wide-eyed vigils on this bed. By morning they will have been flung at each other in crazy angles. But now, at 11 PM, they are still. Why? Because the rumors of layoffs are true. Tomorrow a fluffy little flesh-and-blood animal will crash this scene. As I write, she is crated like fruit in a van, perhaps confused and terrified along with a pile of other street dogs. Her driver is speeding through the night from Houston to New England. Tomorrow we inherit a collar, a chip, a list of shots, a small supply of food, and a dog. We’ve waited years for this moment. But standing here on the edge of it, my sadness surprises me. It’s ridiculous to be grieving the fate of 30+ stuffed animals, right? What am I so sad about? Families grieve transitions, even the joyful ones: Another baby on the way, the start of kindergarten, a new neighborhood. Each new beginning is the end of some old familiar sweater-like norm. The old drops away, as the family is re-made into something new. Now, as artificial cherubs give way to a real one, something is gained, but something is lost, too. For years, these stuffed animals lined up gamely for music class and divided themselves into reading groups. They followed carefully printed rules. They wore Band-aids and were declared feverish. They ordered complicated meals at restaurants, then went to bed early. In solitary imaginary play, everyone does your bidding. Over time, they began singing, hurting, and eating a bit less. Almost imperceptibly, books and extra-curriculars nudged them aside. My dread grew as my daughter’s interest waned. Then, a few weeks ago, fantasy got a bit of a stay. A doll arrived. The animals re-assembled on their risers as if they had never left. They sang as they were told. I thought, perhaps this is the final flame-out. A last nod to the orderly love of the inner world. Standing here staring at them, I can’t help but think of the Velveteen Rabbit. 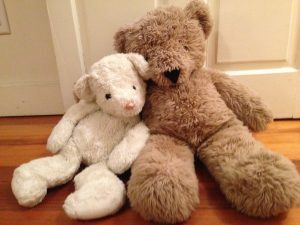 How age and love shaped it, how constant companionship wore it out and made a real bunny out of a stuffed one. How, even when its child moved on, it had lived its purpose, and its realness would never again be in doubt. For me, becoming real means embracing a new seriousness, a closer attention. Things matter more. Looking back at my own long line of defining moments, I see that whatever it was that mattered at the time, it came into sharper relief. I couldn’t ignore it anymore. It called to me. My training in massage therapy got real when we left the skeleton behind for the flesh and blood practice client. Later, the very real practical exam led to the first real job. I began to grow up, professionally. As I’ve aged, fewer and fewer things submit to my will. Instead, as my focus sharpens, things get way less orderly, way more complicated. I feel the focus and the messiness even more now, years later, in my day-to-day work with oncology clients. Reality rules when I meet the real client behind her paper intake form. When someone comes in with the real diagnosis after weeks of tests. When all the side effects they told her about have come true, and cycles of medicine stretch ahead of her into the unknown. Reality rules when the truth is even worse than predicted. There is no way to rehearse for cancer treatment. Or, for that matter, its aftermath. My client and I might linger in conversation for a bit, but eventually we move to the massage table. My hands hover in the air before coming to rest on the living, breathing moment. Below is an aching back, or a head full of distractions and fear. Maybe fatigue, nausea, running down the list. I try a brief rehearsal, or at least a bit of a plan: What matters most? How will my hands make their first contact? How can I possibly help? As my hands hover, I find myself calling on larger and larger love. Sometimes, I feel as though that is all I have. It’s the only thing that can carry the moment. Then my hands relax and begin their work. These quiet conversations and simple exchanges stay with me, long after the work hours are over. They come home with me—not in a “should leave it at the office” way, but in a “must hold it close” way. I tell her, I wish we could reverse it, and I do wish that, as much as I want to dial back the experiences I have just held close in my hands. I want to send us all back to that time before it happened, whatever “it” was. I want my child to return to the simpler ages of one and two that Billy Collins writes about. Instead, my kid stares down standardized tests and schedules, a sadness and a seriousness. Growing up brings competing demands and chaos, along with the obligation to bring order to it all. Grown up days do not always bend to your will, and you can’t always practice for them ahead of time. But growing up has plenty to recommend it, too. Even though it tends to come in overwhelming increments, those moments become more manageable. I tell her about plateaus. You gain some agency. New joys, often in surprising places. And yes, there’s more to do, but so much more is possible. Most importantly, new things come to matter. In order to hold those new things, love grows proportionally. Because it has to. I think we come out ahead. Tomorrow a living, breathing dog will arrive. She will come with quirks, as all of us do. Things will be messy while we learn each others’ rules. They will be messy after we learn each others’ rules. Eventually she will fold itself into our family. We’ll default to the new configuration. We will not be able to imagine life without her, as we all march inexorably toward life without her. Unlike her polyester predecessors, one day her fluffy little body will give out altogether. Nature is like that. So tonight, I take a long look at the small, stuffed faces lined up around my daughter. They gave her some good practice, loving and ordering them them around. Now she’s ready for an even larger love. For a moment, I feel silly whispering goodbye to them, but I can’t help myself: I thank them for their service. Then I close the door. My client complained about her doctor, the nurses, and the general care she was receiving during cancer treatment. She went on for some time. It seemed like a challenge to choose sides. Agree, that she was getting poor care? Disagree? Question her account of her treatment? I breathed. I wavered. I considered the options. I drew her out a bit, and eased the conversation over to the plan for her massage session. Next session I did the same, while encouraging her to vocalize her concerns to her care team. What would you have said? This exchange could happen anywhere, with any client, but it is somewhat unique to a massage practice focused on cancer care, hospice care, or people with medically complex conditions. In massage therapy, the relationship dynamics are delicate. Clients are typically unclothed and hurting in some way, and are hoping for some sort of help. Our clients are uniquely vulnerable. A health crisis compounds that vulnerability. The uncertainty of diagnosis, the transition at end of life, the challenges of treatment–these heighten a client’s needs and sensitivities. Massage therapists navigate trickier waters. In such situations, my words have as much weight as my touch. There are countless examples specific to this kind of work: How to manage family dynamics and funerals. How to turn down requests for more pressure when the tissues are frail. How to answer hard questions when the stakes are high. How to manage professional relationships with physicians, nurses, and PTs I might never meet, but who are lifelines for my client. In the example above, I knew my client needed moral support, but that I needed to not undermine her care team. Whether or not I agreed with her, I knew the most professional response was to stay supportive, encouraging, and neutral. To let her vent a bit, without joining her on the bandwagon. To support her finding her own, best solution. These circumstances call on our ethics. A dear colleague of mine, the late Dianne Polseno, wrote a regular column, “Ethically Speaking” for the Massage Therapy Journal. It was one of a great body of work and service that she left behind. Over our long, collegial history, I found myself agreeing with Dianne about 50% to 75% of the time. The disagreements did nothing to diminish my admiration for her. Instead, they spawned a rich dialogue. Recently I dug up an old column of hers and found a great statement. She explained that it makes itself known through behavior more than belief or commitment. I loved that, of course. Her writing was always clean and to the point. Yet reading this, five years after Dianne’s death, I found myself once again agreeing with some parts, but not with everything. Yes, it’s a measure of behavior, but the struggles are set in my internal landscape. Reflection and searching are in order. Ethics comes from my relationship with me. Why? Because tricky situations make me uncomfortable. Uncertainty makes me rush to solutions. Strong feeling gives me…strong feelings. It’s super easy, when I’m uncomfortable, to act on impulse. My impulse was to join in my client’s righteous anger. This needs to stop, to change! She needs to tell them X or Y! Someone should write a letter! Maybe I should write a letter! Yet I knew that in that particular relationship, my outrage would not serve my client. I needed to control that particular impulse. Instead, I sensed that the best stance was supportive, but neutral. I knew that doctor-bashing, an all-too-popular sport in my field, would serve no one. In the pause between stimulus and response, ethics entered in. Ethics needs a clear invitation, and a little time. In the moment, I needed to breathe. I needed to notice my body. To acknowledge my strong feelings, and let them know I would get back to them later, but I hit the pause on my righteousness. Instead, in breathing, I found my compassion for my struggling client, for all of us who struggle to be heard, seen, and understood. When I finally spoke, I spoke from that compassion. Charged circumstances, high-stakes conversations, pain and suffering. All can give rise to tender ethical dilemmas for massage therapists. For decades, I’ve heard and tended these dilemmas in my oncology massage classrooms. So I made a new course. A new one, “Ethics in Oncology Massage and Hospice Care.” Launching in September in Boston, it’s 4 CE hours. I want to address the ongoing needs of massage therapists in cancer care and hospice. I want to support them in the challenges that come up. Aside from the spectacular convenience of knocking out two common CE requirements in one day, why these two in tandem? The common theme is truth. Ethical dilemmas present competing truths, and call us to deal with the hard truths. Some truths are liberating, such as the one, “I don’t have to solve this client’s problem, I only have to give them the best massage I can” dangling at the end of the process. Research is about the search for truth. There are competing truths about the effects of massage, and competing research results. Some of the massage truths we’ve relied on (Endorphin bursts! Toxin releases! ), aren’t really true when lifted up to scrutiny. Yet there are others, underappreciated, that have been waiting in the wings: The potential for massage to help with the worst of anxiety and depression, or ease a distressing symptom or side effect. In our search for truth, we raise more questions. What do I do? How do I respond? 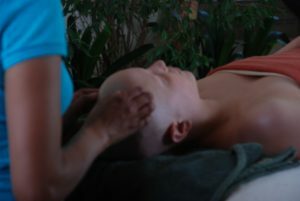 How does massage help my client with cancer? How do we know? How do I market the effects of massage when we’re not quite sure? What do I say to my client who complains? What happens when I feel helpless? How do I manage my own strong feelings? What if I listen to my pain and it actually speaks? What if it drags me down? How do I cope, seeing and touching the hardest of human experience, day in and day out? Do I have a right to complain? Compared to my clients’ struggles, mine are trivial. I’m curious about the kinds of challenges MTs face on the front lines of illness. I’m curious how you are handling yours. I can’t respond to comments here for a couple of weeks, it being August and heading off the grid and all, but I’m grateful for anything you contribute, and I look forward to reading it when I return. Read everything on massage and ethics in our highly acclaimed texts. Check out archives of Dianne Polseno’s column in Massage Therapy Journal. Classic, conversational, and on point. Or come talk to us. Right? We never talk anymore. Check out our two new live, face-to-face courses on research and ethics. I spent the night in an awful dive of a motel. I had cleared my client schedule and headed out of town, eager to attend the workshop. It was worth the sacrifice. About 20 MTs were gathered in a massage school flanked by woods. It was the early 1990’s, and it might have been the first CE course I took as a massage therapist. I was one of the greener members of the group. I can still hear the instructor’s quiet, reliable voice guiding us through lessons in massage therapy for people with AIDS. She was Irene Smith, and her work was radical for the time, still early in the HIV epidemic. It was one of many paths she cleared for our profession. Since then, she has forged ahead with massage for people with dementia and with cancer. Massage for elders. Massage in hospice. 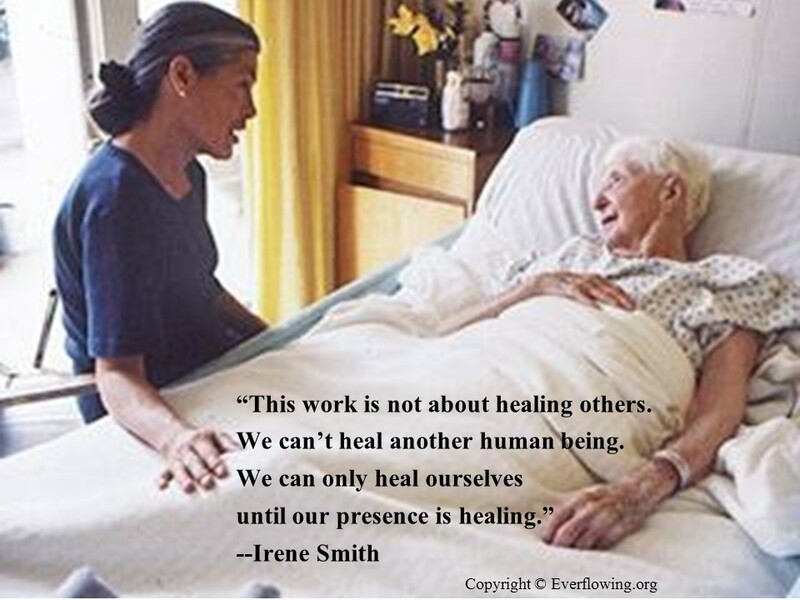 I’ve read her healing quotation in every single foundational oncology massage course since. I’ve shared it in tiny seminars and large groups. After that training in the woods, I purchased her VHS videotape about the emotional impact of working with people with AIDS. I showed that video to every pathology class. Some of my students from 20 years ago still remember it. Her words had a huge impact on our discussion. Among the clients I’ve seen since, there have been many with cancer, HIV, and diseases of aging. Others facing loss of a child or another loved one. On top of it, any number of hard situations: a headache, back pain, a neck that won’t turn. A body worn down by grief or fear. These travelers to my office have opened my heart and honed my craft, over and over again. Throughout, Irene’s words have reassured me: I don’t have to heal any of them. Serve them, yes, to the best of my ability. Help with the neck pain or the headache. Be present for the rest, as fully present as I can be. But I don’t have to heal a single person. That took some pressure off, right there. I have only to heal myself. Now I have to heal myself. The focus was back on me and my healing. I learned, early on in my career, that by being with someone in pain, my own pain is often nudged into my awareness. I learned that my grief mirrors another’s grief. My fears flare when I am with someone who is living them out. I began paying attention. As Adrienne Rich also tells us to do, I’ve “made my life a study.” In the off hours, I’ve searched out my troubles, and sent them some affection. I’ve held my pain, softly in my hands. Wondered at it. I try to run with people who do the same. This insight has been expressed in many different ways, and most people learned it long before I did. But for some reason, when she said it, it moved my earth. It stuck with me. The math was simple but brilliant. The really largest impact? On myself. The converse of the stuffing equation? The rewards of un-stuffing. Remove some stuffing and take a look. Turn it over and examine it. Appreciate it. Feel some of that pain, fear, and emptiness. Feel it, perhaps, for the first time. On the other side of the pain, fear, and emptiness is deeper connection. After holding my suffering up to the light, after giving it a little love, I am a bit more free. I am less afraid of others’ suffering, because I’m cozier with my own. This process runs in the background, without fanfare. It’s not a single, dazzling, made-for-TV discovery. Sometimes it is a tiny little shift, and that’s on a good day. But even small increments of healing have their rewards. Before, I came by my numbness and disconnection honestly. Now, in moments, I lean into my pain, rather than exhaust myself by dodging it. In moments, I am open to whatever comes up. I remind myself: It’s just weather. It overwhelms the landscape in the moment, but it’s just passing through. Then the worst is over. Move along, nothing to see here. Her words lit a quiet path to my heart, and now when I stray, I can find the way back by feel. I arrive and re-arrive, broken and whole. Hurting and healing. Alone, but not really. Massage therapy may be a healing path for clients, but in my case, as a massage therapist, it’s been my healing path, too. For about 25 years, this teaching has guided my work and my life. A single phrase, a simple call, it rang out clear the first time I heard it. Then it echoed, again and again. Heal yourself. Heal again. And again. The weather keeps coming, relentless at times, but punctuated by peace. Irene Smith has plenty more to teach about hospice and touch, about dying and living. We’re sponsoring her course, An Introduction to Massage in Hospice Care, in Boston. Check it out on the course page . The details, like the dates, times, and early registration discount, are here. Or, you can head for the San Francisco Bay area, where she holds courses, or check out her blog for her writing and teaching. Read her interactive e-book. I took her course here in Boston, thinking, 25 years? Maybe it was time for another dose. It was wonderful. And I didn’t have to cross a continent, or stay in a dive. I just had to listen. If you have wondered how effective massage is at improving immunity, elevating endorphins and circulation, reducing cortisol, and eliminating toxins, this free download is for you! I wrote this for massage therapists, educators, health care providers, and consumers. I wrote it for you. By touching a body, we touch every event it has experienced. For a few brief moments we hold all of a client's stories in our hands. We witness someone's experience of their own flesh, through some of the most powerful means possible: the contact of our hands, the acceptance of the body without judgment, and the occasional listening ear. With these gestures we reach across the isolation of the human experience and hold another person's legend. In massage therapy, we show up and ask, in so many ways, what it is like to be another human being. In doing so, we build a bridge that may heal us both. --Tracy Walton, "The Health History of a Human Being," Massage Therapy Journal, Winter 1999. Our belief is simple – Everyone deserves compassionate touch. In fact, skilled, caring touch is a birthright throughout the life cycle, during health and illness. At Tracy Walton & Associates, we prepare massage therapists to serve every person, including those with medical conditions. Our publications, courses, and webinars apply current research and meaningful principles to the diverse needs of each client. Instead of a one-size-fits-all approach, we provide massage guidelines for the wide range of conditions and settings actually encountered in daily practice. Based in science and complementing medical practice, our unique system integrates massage therapy into professional health care. Tracy Walton developed guidelines that are already at work in hospitals, massage schools, and clinics across the country. This includes a Pressure Scale she developed, based on the work of Gayle MacDonald and Dawn Nelson. This pressure scale is available as a free download. Featured in a groundbreaking pathology textbook, Medical Conditions and Massage Therapy, Walton’s system demystifies massage contraindications. Clear, precise guidelines are offered in sufficient detail for immediate use. The book reaches all healthcare practitioners, from the student to the seasoned professional. Our online courses and face-to-face oncology massage courses are also based on our system. We even offer an inspiring massage home instruction program, with dvd and handbook, designed to guide caregivers of people with cancer. With customized massage care plans for a host of medical conditions, massage therapists work with sensitivity and confidence. Our system answers the barrage of questions in the massage classroom, and the lingering uncertainties among practitioners. For the first time, therapists see contraindications spelled out with her specific pressure scale and “decision tree” roadmaps for each client presentation. There are interview questions for each condition, with precise massage guidelines based on clients’ answers. Massage therapy has grown rapidly, responding to the yearning for skilled touch during health, disease, injury, and aging. Across this spectrum, people hope for the steady, reassuring hands of therapeutic massage. Our system prepares therapists to meet them. 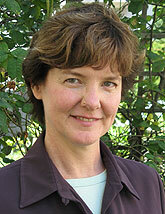 Tracy Walton is a researcher, writer, award-winning educator, and specialist in massage therapy and cancer care. A dynamic voice for the power of touch, she is the author of the pathology textbook, Medical Conditions and Massage Therapy: A Decision Tree Approach, (Lippincott Williams & Wilkins, 2011). 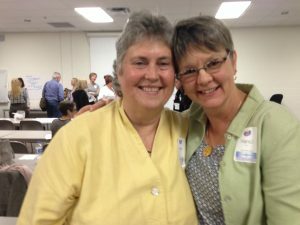 Tracy appears in the film Touch, Caring, and Cancer, an inspiring home instruction program for people with cancer and their care partners. As a researcher, Tracy has worked on clinical trials funded by National Institute of Health’s National Cancer Institute that involve professional massage and massage by caregivers. Research partners include the Osher Institute at Harvard Medical School, Beth-Israel Deaconess Medical Center, H. Lee Moffitt Cancer Center, and Collinge and Associates. She maintains a bibliography of oncology massage research to serve researchers, educators, massage therapists, clients, concerned friends, and family members. Known for her leadership and teaching in pathology and oncology massage therapy, Tracy and her staff offer popular continuing education courses for massage therapists. Since 1998, she has developed, taught, and continually updated Oncology Massage Therapy: Caring for Clients with Cancer. Thousands of massage therapists have trained with her and her staff, giving her courses and webinars outstanding reviews. As an educator, she integrates the heart and science of massage therapy. 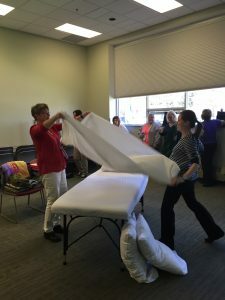 In each class and presentation, Tracy warmly welcomes and connects with health care providers, researchers, educators, and massage therapists from all levels of training. For over 13 years, Tracy taught physiology and pathology at the Muscular Therapy Institute (now Cortiva Institute – Boston) where she also served as Academic Dean and Chair of the Science Department. In 2003, the American Massage Therapy Association named her the Teacher of the Year. Using research, client stories, humor, and beautiful visuals, Tracy inspires her audience with a sense of what is possible. Since 1990, Tracy has maintained a private practice in massage therapy. Her clients come from all backgrounds. Many are in the diagnostic process, in cancer treatment, experiencing survivorship, or living at the end of life. Tracy understands the challenges that today’s massage therapists face daily. She also understands the deeply motivating desire to contribute to the healing process. Tracy holds a Master’s degree in biology, with a concentration in cellular physiology and biochemistry from Northeastern University. She received her undergraduate degree from Wellesley College and her massage therapy diploma from the Muscular Therapy Institute.